And it’s as important as the Audi A5 was when it was launched as a precursor to the A4 B8, because underneath the A7 is the next Audi A6. That means a longitudinally mounted engine with a driveshaft along the side of the transmission and drive brought forward to a differential situated between the engine and transmission. 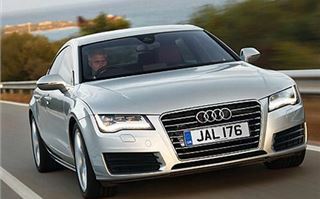 Though launched with a thundering V8, the A5 has endured an economy of scale with the V8 replaced by a more economical 300 horsepower chain-cam turbocharged V6. 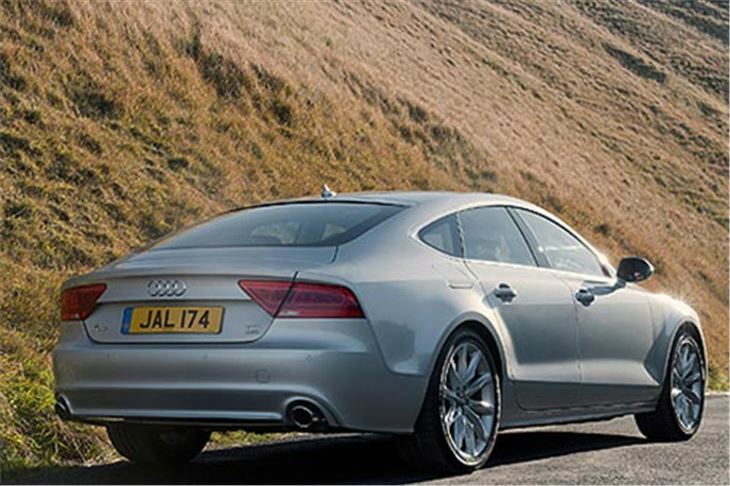 And that engine now features in the A7 Sportback, sending its power to all four wheels via a twin clutch 7-speed ‘S tronic’ transmission. That engine also comes in a lower state of tune, sending its 204 horsepower to the front wheels rather than all four via an 8-ratio Multitronic CVT transmission. 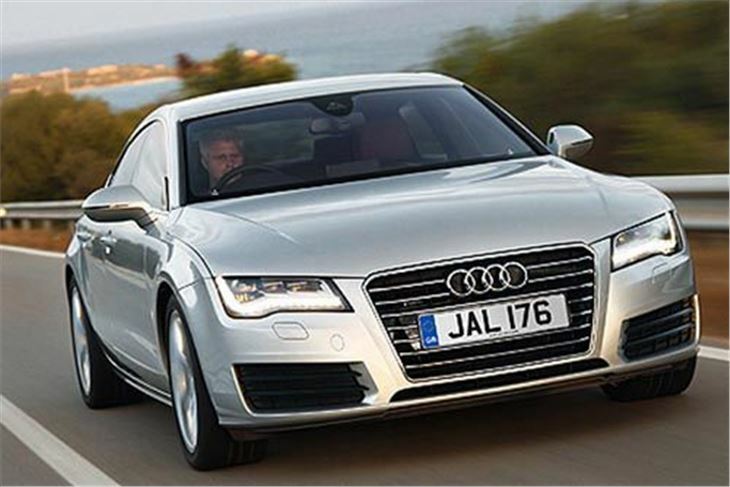 It’s also the cheapest in the A7 launch line-up at a “mere” £43,755. 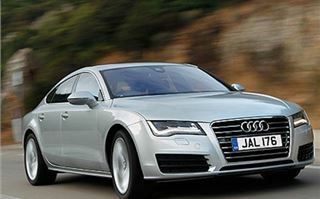 Compare that to the 240PS Jaguar XF 3.0TD Luxury that, even with its price adjusted to 20% VAT, comes in at £35,632. At risk of labouring the price issue a bit, which I have to because readers have already brought it up, you won’t get much change out of £50,000 for either petrol or diesel 3.0 V6 quattros, and without going totally mad over the options you could easily spend £60,000. Audi tries to take the sting out of this by quoting a CAP Monitor 3 year residuals of 38% of list for the 3.0V6 TDI quattro. But that might means accepting a £19,000 trade in for a car you spent £60,000 buying. 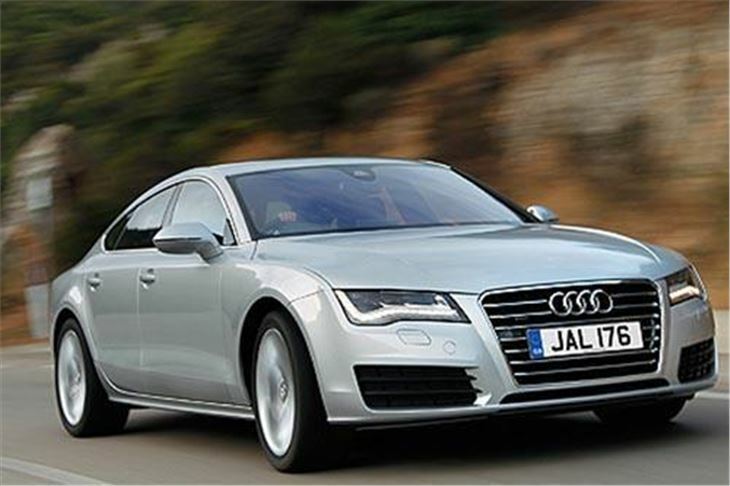 The Audi A7 obviously makes much more sense new as a company car and, emitting just 139g/km in the EU tests, the 204PS 3.0V6 TDI Multitronic has an exceptionally low BIK rate for this class of car. 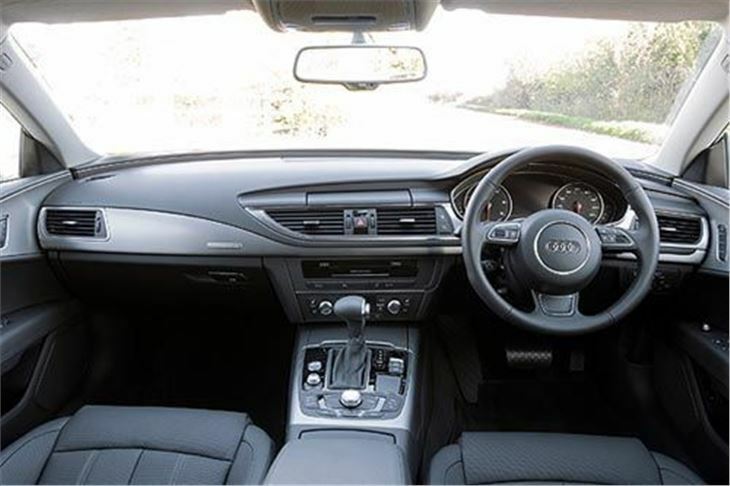 The punchier 245PS 3.0V6 TDI quattro S tronic comes in at 158g/km, below the vital 160g/km company tax barrier, and putting it ahead of all Jaguar XFs in the company carpark. Part of the key to this is lightness. 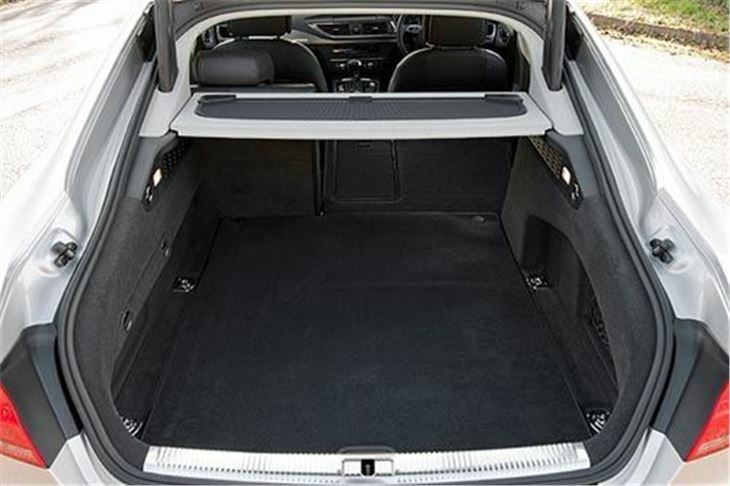 Suspension components, doors, bonnets and hatchbacks are aluminium, keeping weight down to a relatively trim 1,695 to 1,770 kilograms. Surprise and delight features include an optional ‘High’ mobile phone Bluetooth kit that accesses Google maps, turning the satnav into a satellite photograph of the landscape you are driving through. But if you pair your mobile to the car, you have to pay for the connection so this gets expensive. The alternative is to put a dedicated local rate SIM card in the system itself, but one of us who then tried to pair his mobile with the car found that he couldn’t. 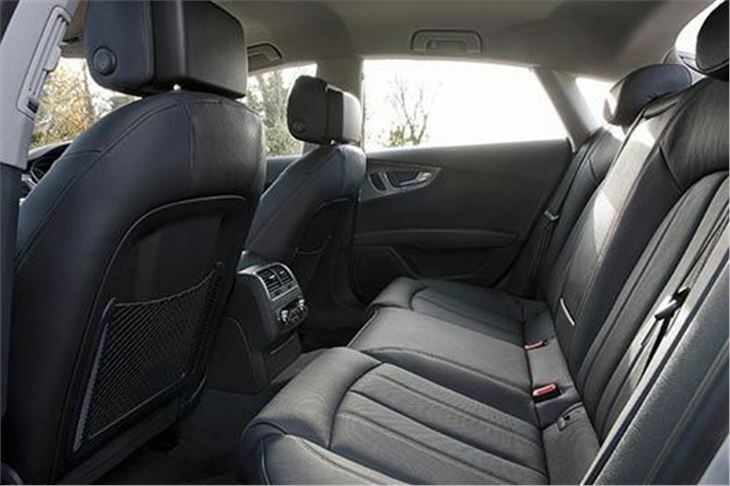 Rear seat head and legroom for two passengers is generous, auguring well for the forthcoming new A6. 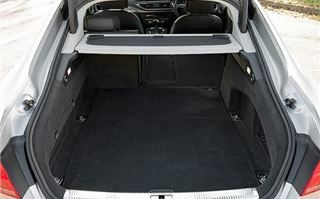 Boot space is a decent 535 litres and looks long enough to take golf bags lengthwise. I can’t tell you about the 3.0V6TDI Multitronic because none were available to us. We were only able to drive the 3.0V6 TDI and 3.0V6 TFSI quattro S tronics, heavily optioned up with Sport suspension and 19” alloys, plus lots of other kit. Both cars were extremely easy to drive in ‘normal’ mode, except when reversing. The strakes on the bonnet enable you to position the car extremely well, as we had to do driving wide RHDs on the right hand side of some very narrow roads. Knock the selector over to S and you can avail yourself of the neat gearchange paddles, which follow the wheel, and decide for yourself when it’s going to hold a gear or change. At speed, left foot braking into turns then powering round them from the apex tucks the front end into the corner nicely in the manner of a good quattro. Not quite as well as in an S3, but the A7 is a bigger, wider car, so you have to confine this activity to corners you can clearly see through. Plonk along in full auto mode and it just blandly gets on with it showing a tendency to understeer, especially if you are a right foot braker and over-brake. On the motorway, cruise control with a speed limiter works well enough once you get used to it, but wasn’t very helpful in Spain where the 120kmh limit switches to 100kmh at every junction. The diesel engine is more vocal and has more torque, but the 300 horsepower 3.0V6TFSI is sweet as a nut and if the car were ever needed to ferry VIPs at high speeds in relative silence it would have to be the obvious choice. 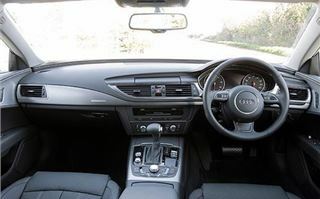 That said, it’s over the company tax threshold at 190g/km and uses more fuel so very few company drivers are likely to find themselves behind the wheel of one and at higher depreciation than the TDIV6 quattro a private owner would need to be very keen indeed to put in an order for one. 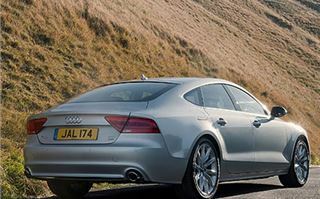 Does the A7 get the thumbs up? As a company drive, the diesels definitely do, offering a sportier drive than the BMW 5 Series Gran Turismo in a completely different kind of car. And watch that options list. It’s all too easy to spend a lot of money that increase your tax bill and that your company will never get back.